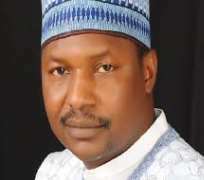 The Attorney General (AGF), Abubakar Malami (SAN) on Tuesday in Abuja said that a team of seasoned experts, including lawyers, has been assembled to prosecute those implicated in the arms purchase scandal. Threatening, he said that there will be no plea bargain for those accused of diverting the multi-million dollar cash. He did not fail to accuse the Goodluck Jonathan administration of deliberately compromising corruption cases involving politically-exposed individuals enabling them to escape justice. The AGF spoke in Abuja during a meeting with some members of the BringBackOurGirls group, led by former Education Minister Oby Ezekwesili. He said: “Under the last government, corruption cases were deliberately compromised during investigation in order to pave the way for criminal elements to escape the long arm of the law. Steps are being taken to audit such cases with a view to bringing the culprits to justice. “It is not just about having a team that will be prosecuting, but ensuring that relevant audit is taken as it relates to previous prosecution to ensure that those that are found wanting are brought to book. And then, ensure that the future of prosecution in this country is further enhanced by having in place an effective legal team that will involve legal drafters for efficient drafting of charges. “The team will also include efficient investigators that will ensure that adequate proof of evidence that will establish the required ingredients of an offence are put in place, and then, competent prosecutors that will now ensure that the required proofs are presented before relevant courts for the purpose of establishing guilt,” Malami said. “It is tragic for a nation to have a budget meant for arms procurement for the protection of lives and property of the citizens, and end up not having the arms but compromising the process of making adequate provisions for the protection of lives of its citizens.